Anglers love McMurrys two ponds and river frontage. 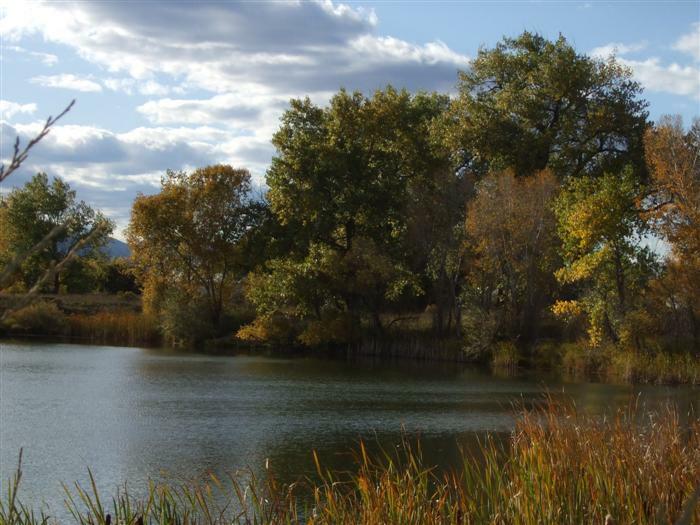 More than 20 species of fish are found in the two ponds - more fish types than at any other natural area in Fort Collins. You may find orange spotted sunfish, smallmouth and largemouth bass, bluegills, black crappie or yellow perch. More fishing details are listed here. McMurry is great for wildlife too- birds at McMurry include cedar waxwings, Bullocks orioles and even osprey, a raptor once near the brink of extinction and still relatively rare in Colorado. Snapping and painted turtles often sun themselves on warm summer days. Rabbits, muskrats, and red fox make their homes here as well. 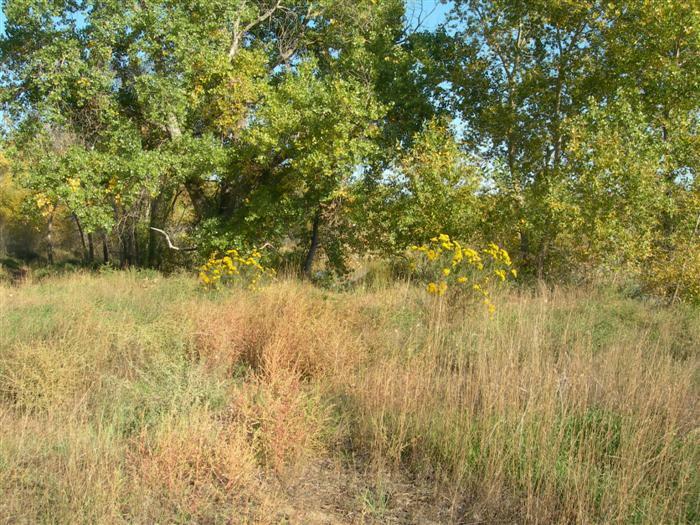 The initial ecological restoration of McMurry Natural Area is complete! The riparian (riverside) habitat has been improved by removing unnaturally steep banks in order to re-connect the river with its floodplain (without negatively effecting flood risk of nearby properties). The Natural Areas Department removed five old cars buried in the river bank while adding two acres of wetlands and four acres of native cottonwood forest. Ongoing maintenance will help ensure a naturally functioning ecosystem. 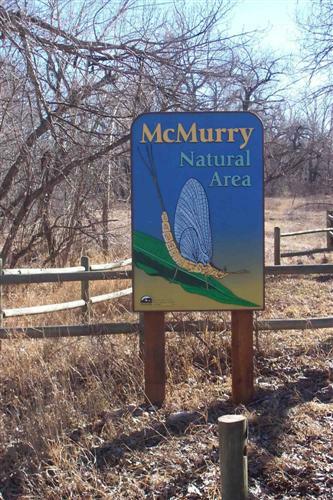 McMurry Natural Area was acquired with the help of a Great Outdoors Colorado grant. Parking lot at the west end of Hemlock Street or use trail connections from Magpie Meander and Salyer natural areas. Free educational programs at McMurry Natural Area are available for groups by request, call the Master Naturalist Program at 970-224-6118 or email YWNobGVibmlrQGZjZ292LmNvbQ== . Poudre River Restoration video 3 minutes, reveals the case for river restoration through real photos, time-lapse photography and video animation. The video was produced by Roothouse Studio of Boulder, Colorado.